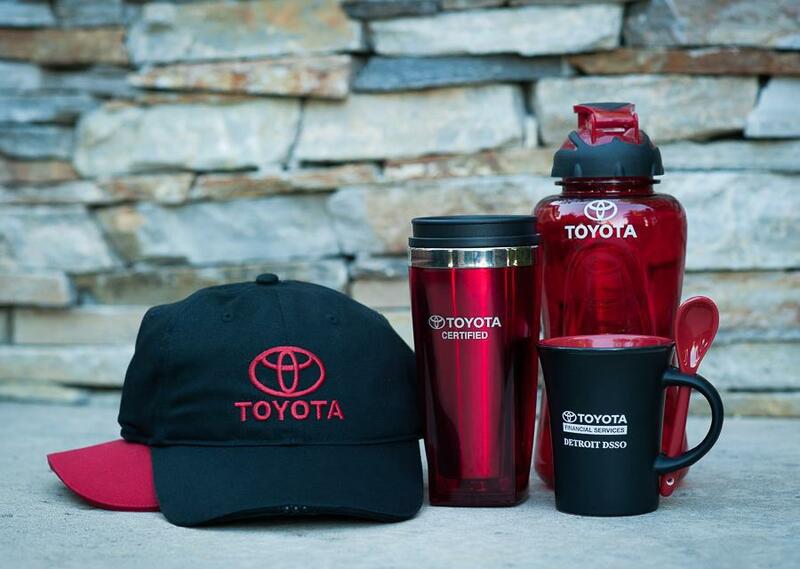 Toyota Financial Services was looking for functional and high quality promotional items to give out to their dealership staff. We designed two different style baseball hats for them, along with a water bottle, travel mug, and coffee mug. Toyota Financial Services was very satisfied with the products we provided! "I have been working with Robin at Wearable Imaging for over 8 years. She always provides excellent customer service and her product knowledge is vast. I have ordered from her many times and have always had the very best experiences with shipping, billing, and product quality. I would highly recommend her to anyone who has promotional needs!"